Structural Integrity. It’s what we do. 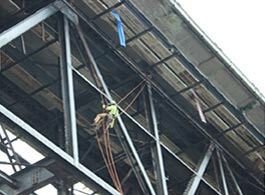 Structural inspection requirements vary by project location and structure type. 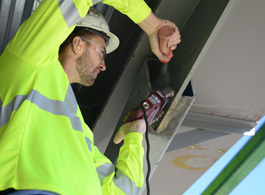 We take pride and excel in offering independent Quality Assurance inspections on a great variety of structures, including buildings, bridges, and hydraulic steel structures, tailored to specific project requirements. 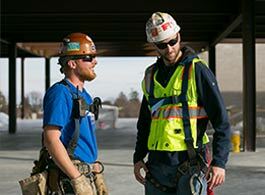 Fickett Structural Solutions team of certified weld inspectors (CWI) and professional engineers (PE) have extensive experience on various steel structures from design, to fabrication, through construction, to project completion in fabrication shops and on project sites. We work with owners, engineers, and contractors to ensure that their project is built according to plans, specifications, and applicable codes. 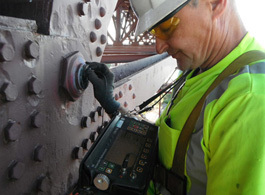 Fickett Structural Solutions has a dependable team of nondestructive testing (NDT) experts to serve our clients. Our NDT Level II and ASNT Level III certified technicians specialize in Magnetic Particle (MT) and Ultrasonic (UT) nondestructive testing (NDT) methods to provide the required inspection for your project. An additional technology that we utilize is ultrasonic impact treatment (UIT). UIT can extend the life of a serviceable fillet weld by relieving stresses at the critical elastic/plastic zone of the weld toe saving the client from costly repairs. 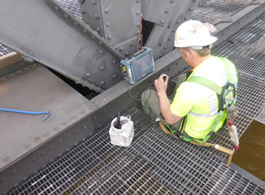 Ultrasonic phased array testing (PAUT) is an additional UT method we provide utilizing specialized equipment designed to help identify cracking or corrosion associated with the infrastructure industry. 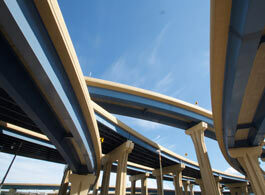 Our team has successfully introduced and implemented PAUT to several clients in the transportation industry. 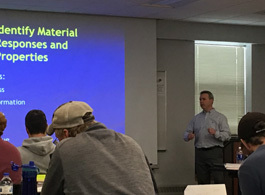 Fickett Structural Solutions has nationally recognized instructors who provide course instruction on many aspects of structural assembly and performance of buildings, bridges, culverts and ancillary structures. We provide these services for local, state, and federal agencies as well as private clients nationwide. We have also developed and presented several of these courses in response to client’s needs. 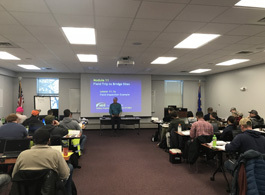 One-day training program for High Strength Bolted Connections. 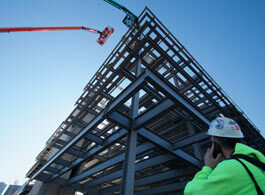 Welder training and third-party certification programs for fabricators and contractors. Please contact us for more information about the courses we offer or to schedule a tailor-made course for your organization. Click here for more information regarding our Technical Training Program.